A couple of years ago I reviewed the Ming Da MC34 ASE, a tube integrated amplifier, based on a quartet of JJ EL34 tubes. Please refer to that review for more infos on the manufacturer. The current model under test is the MD300A, an integrated amplifier that uses a pair of the legendary 300B vacuum tubes. 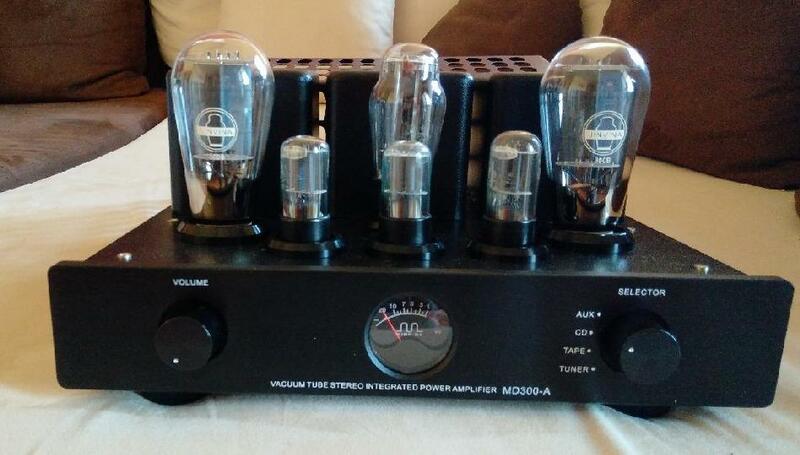 It is surprising to see a nicely crafted aamplifier, which uses this kind of tubes, priced around 1000€. I'm not exactly a tube-head but I've always found something magic in every 300B-equipped amplifier! I was extremely curious to understand how much sound quality one can squeeze out of a 1000€ 300B amplifier. 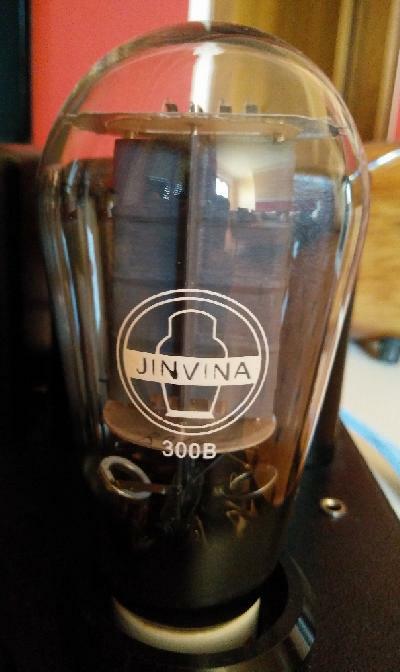 This Ming Da MD300A is based on two 300B tubes made by Jinvina Full Music. A pair of such vacuum tubes sells for 250/300$, to say the least, and that is a quarter of the price of the whole amp. The power output, of course, is the usual, that is 8 watts per channel on a 8 Ohm load. That's the maximum a 300B can do, actually. Yes, the power output is severely limited, but not so the sound quality! This amplifier hosts 4 line inputs and two pair of speakers binding posts, for the usual 4 and 8 Ohm loads. The mains cable connects to a standard IEC mains inlet, hence it can be easily upgraded with aftermarket cables. The quality of the craftsmanship is quite high and this, together with the heavy weight, gives the feeling of a solid component, not that of a toy, like many other inexpensive tube amps in the market. The CNC-machined aluminium cabinet is solid and with a very classy finish. The single VU-meter gives a kind of “vintage” touch and, moreover, helps understanding how many watts are being delivered to the loudspeakers. Given the power output is just 8 watts per channel, it is rather easy to see the needle close to the red zone most of the time (unless you use 100 dB/w/m speakers). First things first, i.e. the obvious ones: forget trying to use this amplifier for a dance party, 8 watts are just 8 watts. Unless you use high sensitivity speakers (horns, fullrange etc.) you're not going to shake the floor. With mid-sensitivity speakers, though, you can still play at more than adequate listening levels in a mid-sized room. You'll probably wonder why you've always been told that watts are never enough. That's just hype. In most cases 8-10 watts are enough, especially if you don't live alone and/or your neighbours aren't sufficiently tolerant. Power output aside, which is a strictly personal choice, this amplifier confirms the generally excellent quality of the 300B vacuum tubes. It is not a sound that one might describe as “perfect”, listening carefully it is clear that something is missing, here and there. Small nuances, a touch of precision etc. This amplifier has something else to offer: a kind of magic, exactly like any other 300B equipped amp I've had the chance to listen to. It is sweet and smooth, slightly warm, certainly amazing and deeply fascinating. The mid range, for example, has precision, body, grace, presence, naturalness, all mixed together in a strange but tasteful cocktail. Single voices are natural, while choirs appear sometimes “weak” (that's because of the low power output). Strings are lively, naturally metallic with a soft, sweet upper end. Not exactly an euphonic effect, it is best described as “soft sweetness”. The bass range lacks some brute force, of course, both in terms of impact and extension. The first octave is tendentially lightweight and the drums, though full bodied, lack power and violence. The electric bass and the double bass are well articulated, though not exactly “nervous” as they should be. You can't expect the sheer power and control of a push-pull of KT88's or of a solid state high power amp. The high range is never, I say never, stingy, it's sweet but not dull, delicate but not artificial. That sensation of “electronic” sound is absolutely absent, everything flows effortlessly and naturally. That's one of the gifts of the 300B. naturale. The musical analysis isn't exactly “clinical”, so there's no trace of artificially underlined microinformations, as happens, sometimes, with highly transparent solid state amplifications (and Class D amps in particular). Everything finds its place in a “picture” that might not be extremely precise but it still appears very natural. As said before, the power output of this amplifier is low and so is the amount of current it can deliver to the speakers. With difficult loads there are traces of dynamic compression and the sound seems to struggle trying to become alive. When the load offered by the speakers is easier, micro and macro dynamics appear adequate, in general, and quite good with “easy” musical programs (i.e. those without severe dynamic requirements). Do not force it to do something that's not written into its DNA: low sensitivity speakers or hard to drive impedance loads are not its cup of tea. It doesn't deserve to be treated this way! Do not play heavy metal or nasty trip-hop tracks, it simply can't cope with the brute force that is required. Of course, you can play everything with it, but you will miss that magic grace it is able to deliver when playing simpler and mre relaxed (acoustic) musical programs. It is not “slow” - its bigger brother with the EL34's was certainly slower! - but, for sure, it won't make you jump over the seat! The 3D soundstage is rather good and though not large it appears to be completely free from the loudspeakers. This amplifier succeeds in creating that strange phenomenon I call of the “loudspeaker turned off”. You hear the music but looking at the speakers you wouldn't tell the sound comes out from them. The height of the stage is slightly smaller when compared to its width and depth but, overall, the virtual image is realistic. I experienced the same strange effect with the bigger brother, the Ming Da MC34ASE. The focus and the stability of the image are very good but don't expect a sculpted 3D stage: considering the “soft” attitude of this amplifier everything appears with, say, “rounded” edges. This amplifier has two sets of speakers binding posts: for 4 Ohm and for 8 Ohm loads. You need to perform some experiment with your speakers before finding the best compromise. Yes, the most obvious solution may not be the best one (8 Ohm output with 8 Ohm speakers, for example). Just do some test and decide by ear. The stock tubes are good but one can always try better alternatives. Unfortunately, 300B tubes tend to be pretty expensive, so tube rolling experiments might definitely not be cheap. Bear in mind that this amplifier costs 1000€, more or less, hence it would be a non-sense installing tubes that costs like the whole amp. Do some test with vibration absorbing feet, as well. Keep in mind that the amp is quite heavy, so choose the feet accordingly. You might try experimenting with different mains cables as well but, again, do not forget the cost of the amp. Following the DIY route might be a wise choice (see our recipes, for example). Vacuum tube produce a huge amount of heat so the protecting grid, though quite ugly, is a must if you don't live alone (beware of pets and children!). As for speakers choice I admit I didn't like the partnership with the small British monitors Russell K Red50 I've tested recently (review due soon). Not surprisingly, the amp matched well with a pair of more forgiving Elac Debut B5 (review due soon as well). Generally, I'd choose mid-sensitivity speakers with a good and powerful bass range, with a crisp and detailed mid-high range, in order to counterbalance the “soft” character of the amplifier. I'm thinking of Klipsch, Triangle, Focal, Cabasse o fullrange speakers like AudioNirvana, Fostex, Lowther etc. 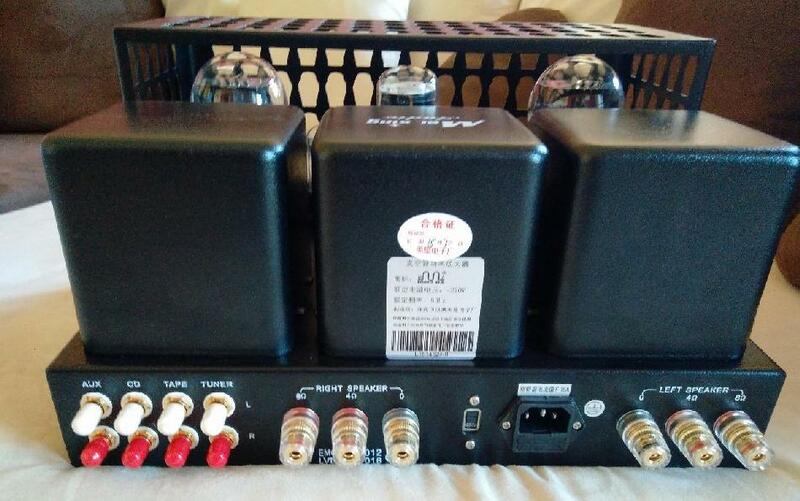 This is a nicely built amplifier, even carefully boxed. Indeed, you'll also find a pair of soft cotton gloves to handle the amp! The protecting grid, as said, is ugly and not on a par with the quality of the amp. Connectors, knobs and switches are of good quality. I've found the speakers binding posts to be too far apart. You should be conscious that one always gets what he pays for: entering the magic 300B world with just 1000€ is a temptation but, of course, you can't expect miracles. Those who prefer rhythmic and dynamic musical programs might find that some energy is lacking, for example. And even those who prefer a hyper-detailed kind of sound might find this amplifier not as precise as they'd like. Overall dynamics isn't earth-shaking and the first octave is a bit on the weak side. Generally, 300B tubes are found on high-class amplifiers so this MingDa proposal might seem like a “contest”: can one build a nicely finished 300B integrated amplifier for just 1000€? The answer is yes and though it can't be as refined and precise as amps costing much more, it still lets you enter the magical world of the famous and legendary 300B sound, something any audiophile should try at least once in a lifetime. 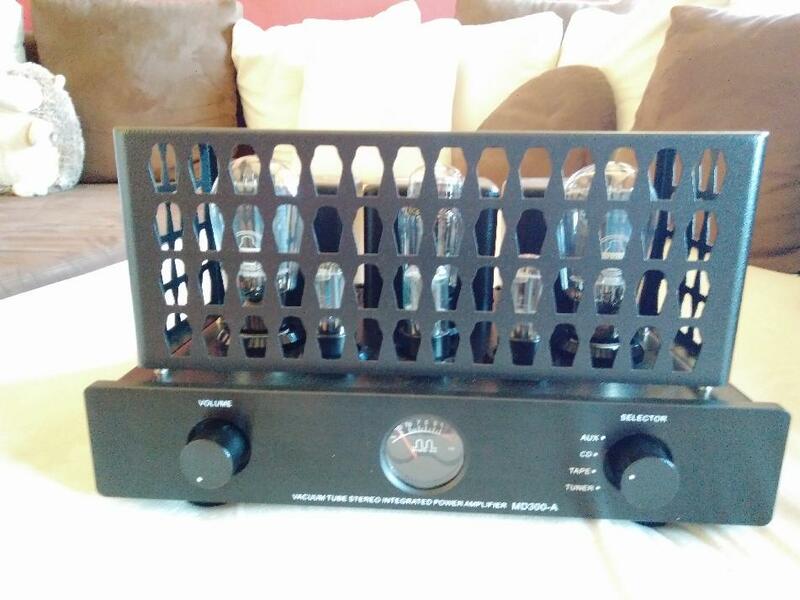 Of course you can find less expensive 300B amplifier somehwere on the web, from unknown manufacturers and with zero reliability or post-sales service. This MD300A comes from a well established brand that is widely distributed worldwide. Worth a try!